A complex and intense portrait of the mechanics of a family - and a marriage - through the eyes of four siblings struggling to define themselves beyond their parents' love and expectations. A complex and intense portrait of the mechanics of a family - and a marriage - through the eyes of four siblings struggling to define themselves beyond their parents' love and expectations. Bob and Fran have worked hard to give their four children the opportunities they never had. Now, with the kids ready to make lives of their own, it's time to sit back and smell the roses. But the change of the seasons reveals some shattering truths, leaving us asking whether it's possible to love too much. 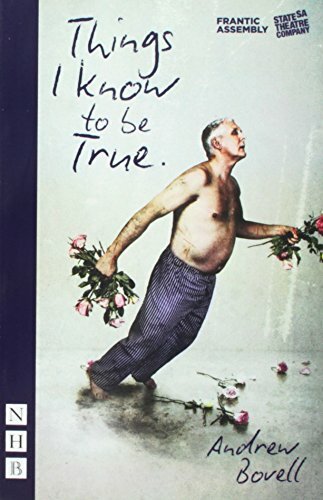 Andrew Bovell's beautifully touching, funny and bold play Things I Know To Be True was premiered in Adelaide, Australia, as a co-production between Frantic Assembly and the State Theatre Company of South Australia. It received its British premiere in 2016, co-produced with Warwick Arts Centre in association with Chichester Festival Theatre and the Lyric Hammersmith.